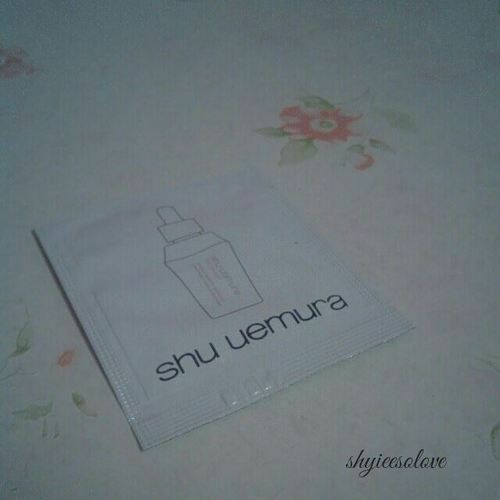 I’m happy that BDJ Box hosted another Beauty Soiree in partnership with Shu Uemura, Asia’s #1 Cosmetic Brand. 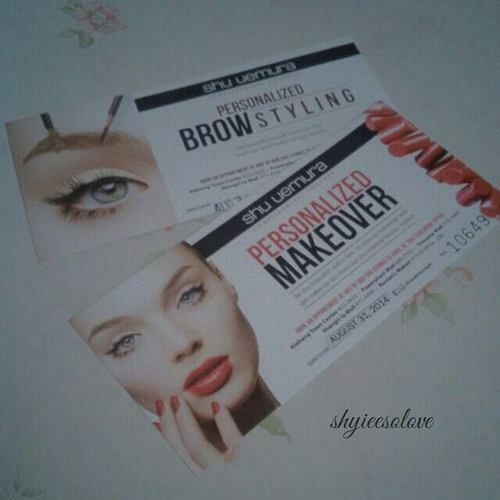 Fortunately, I was one of the lucky Bellas who scored an invite and I grabbed the opportunity to learn a new technique on make ups. 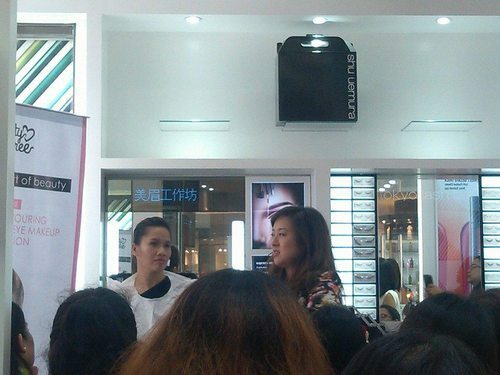 I attended the second session, held at Shu Uemura Boutique, Shangri-La Plaza Mall. 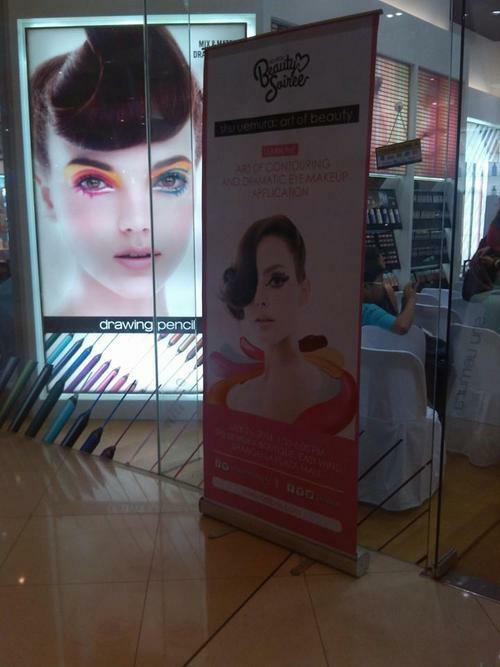 I don’t know why I suddenly became interested on attending beauty workshops when I’m not a total make up junkie. I get amazed with make ups but I don’t really buy them. I only have a few ones on my vanity and I’m not really familiar with all cosmetic brands. For me, being simple —with just a touch of foundation, blush on, and lipstick— is enough to go on a day. I am terribly afraid of eye shadows. I never put one on myself because I don’t know which shades to choose and which shades to blend. I don’t want to look like a kid’s coloring book, so I never use eye shadows unless it’s necessary. 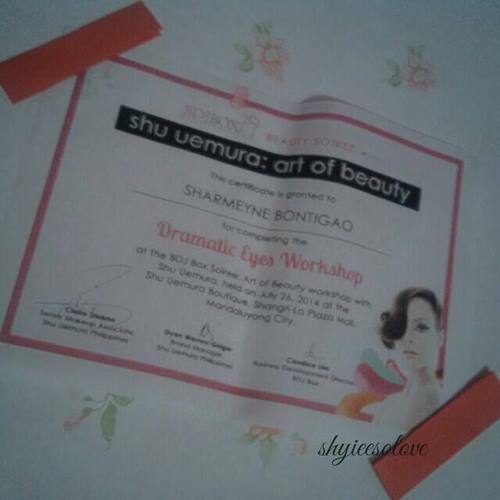 But then, Ms. Claire Diokno, Shu Uemura’s Ambassador who specializes in Runway Eye Make Up look, discussed how possible it is to look noticeable and unforgettable with dramatic eyes for your girls night out. It’s amazing how everybody loved make up so much. 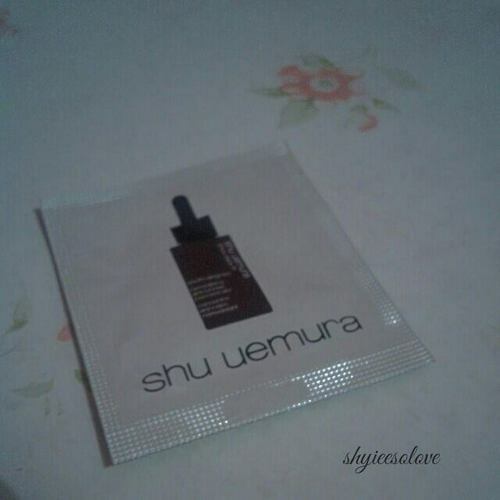 Shu Uemura is a new brand in my ears and I wanted to give it a try. 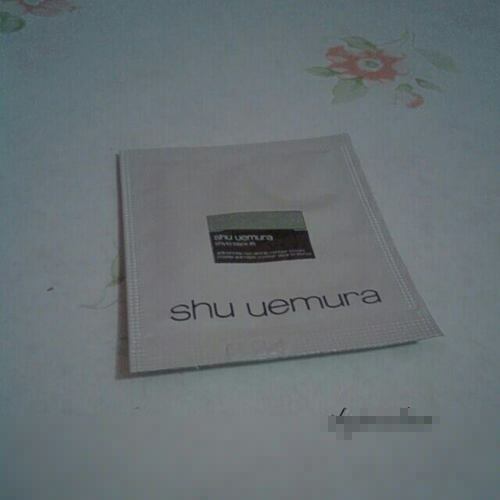 Although their products are a little bit pricy, I think everything is worth the money spent.